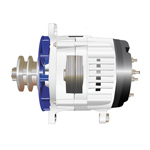 Having a high powered alternator is the key to a successful DC electrical system. There is no other way to produce a large amount of power reliably and quickly once you leave the dock. At PKYS we have developed extensive experience in selecting and installing alternators and now we bring this experience to you. If you are a little hesitant to start this project you might like to take a look at our article on how to install a high powered alternator on your boat. 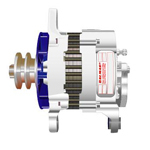 The alternator is the heart of your marine vessel's electrical system. 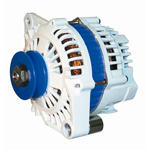 You need a high quality alternator to ensure the success and reliability of your power system. 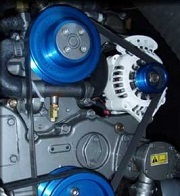 Your alternator can help you produce a large amount of power and to regulate the electrical system on your boat. Peter Kennedy Yacht Services sells the high quality alternators you need to power your yacht and ensure reliability and performance. 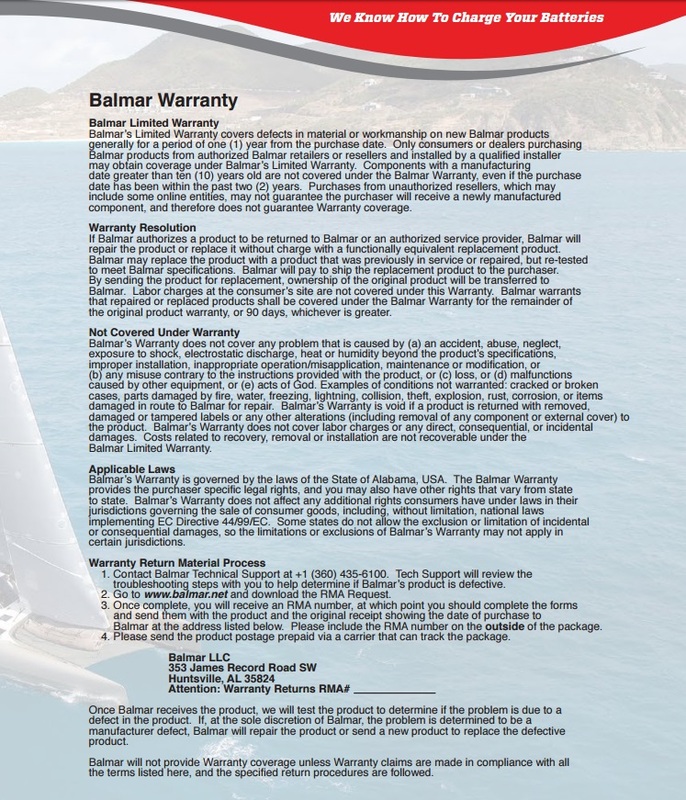 Shop our catalog to find the alternator that fits your yacht and provides the power you need for the performance you want. If you are having trouble finding the right part, contact our customer service department for assistance. We’d be happy to assist you with picking out the right alternator. If you are unclear about how to install your new alternator, we can also help answer your questions about what to do or provide you to the appropriate resources. 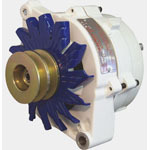 These alternators are designed to replace your existing alternator. 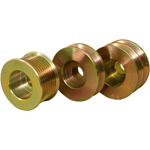 Kits are also offered to upgrade the pulleys for even more power. For some engines a kit is available to add a second alternator. 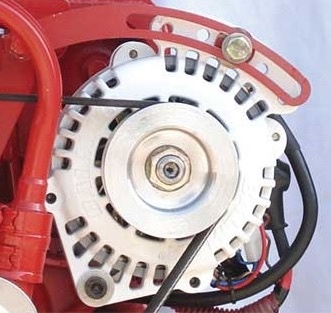 The small case alternators shown here are also sold as kits which include an external regulator, temperature sensors for the battery and alternator, and mounting hardware. All the alternators shown here are designed to be externally regulated. This photo shows a Max Charge MC614-H regulator with harness. 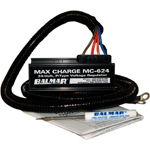 This Max Charge regulator offers the most programming options. These Altmount kits allow the mounting of more powerful alternators by converting the drive belt to a Serpentine System. Available for select engine models. 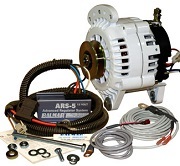 A second alternator kit is also available for some Yanmar engines. Sorry, 7 Series alternators are no longer available.